Dr. David Gaus is the founder of AHD and has served as its Chief Executive Officer since 1994. David grew up in Milwaukee, Wisconsin and attended Notre Dame where he received an accounting degree in 1984. After a soul-searching conversation with then University President, Rev. Theodore Hesburgh, David traveled to Ecuador where he spent two years volunteering at an orphanage. There he witnessed the marginalization of a population of mostly women and children who lacked access to even basic health services. David’s life had changed forever. He returned to the U.S. where, with the assistance of Fr. Hesburgh and the famous columnist Ann Landers, David re-enrolled at Notre Dame to complete his pre-med studies and then enrolled in Tulane Medical School. In 1992, David earned his M.D. and Master’s in Public Health & Tropical Medicine from Tulane. 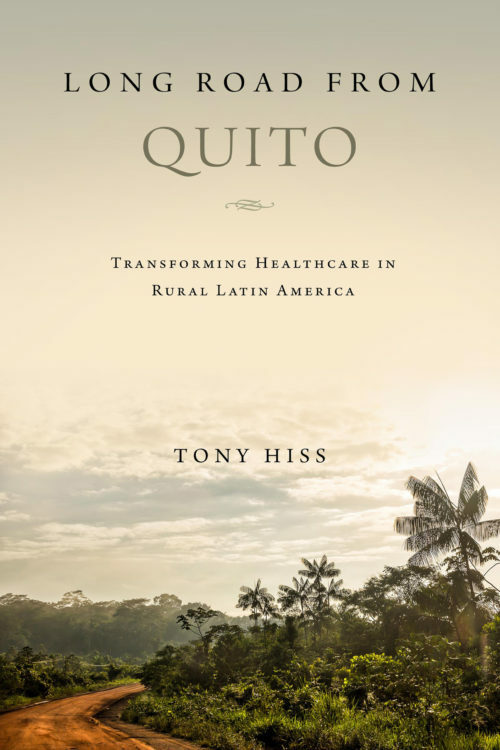 Following a residency at the University of Wisconsin, he returned to Ecuador and soon discovered that rural hospital care was the country’s greatest need. In 1996, David and Fr. Hesburgh started AHD to provide self-sustaining, comprehensive health care to the rural poor. Their pilot project was a hospital in the underserved community of Pedro Vicente Maldonado (PVM). The hospital opened in 2000, and by 2007, was financially self-sustaining. Hospital PVM provides high quality care to an extended community of 80,000 and is a training ground for physicians and other leaders in the local community. David Gaus and AHD have now expanded this successful hospital and training model to another community in Ecuador, called Santo Domingo. David and his family live in Quito, Ecuador.